Fast-paced movement across the court or rink, cheering crowds, the thrill of the win (or agony of defeat). These are the myriad of elements waiting to be captured by your camera when you photograph a sports event. Whether you’re taking pictures at the home arena of your favorite pro team or snapping away in the gym at a high school game, shooting indoors requires you make certain preparations. You must get a handle on your surroundings to ensure sharp, compelling photos that will make viewers feel like they are part of the action. Typically for indoor sports, you’ll want to have lenses that open to an aperture of f/2.8 to let in the maximum amount of light. 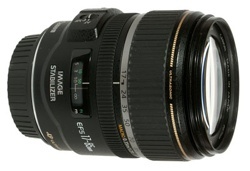 A versatile lens to start with would be a 70-200mm f/2.8. From there, it depends on whether you’re shooting hockey, basketball, or another indoor sport. For basketball, for instance, a 24-70mm lens is ideal so you can capture the athlete’s full body as he or she jumps up for the basket. For other indoor sports, a 300mm f/2.8 lens will serve you well so can zoom in on the puck or ball. Because most pro arenas are now using higher-intensity LED lights, a lens with a 100-400mm or 150-600mm focal-length range, even with a maximum f-stop of f/6.3, is also a viable option. To get the lay of the land, you’ll want to do your homework on the arena or venue in which you’ll be shooting. If you can, find out what kind of lighting the location has and its intensity, either by visiting the venue yourself or asking other photographers who’ve shot there. This will help you better prepare what lens assortment you will need to bring. Pack your gear bag early, perhaps a day in advance if possible, then unpack it and look at it again on the day of the event to make sure you’re not missing anything. There’s nothing worse than getting to an event and realizing that you left a lens behind (to save a little weight) that you would’ve been better off having with you. Also, scope out what the conditions will be like beforehand. Although you won’t have to worry about certain elements as you would outdoors (e.g., it won’t be raining inside), you still need to be vigilant. Case in point: At the Winter Olympics in Pyeongchang this year, they kept the main arena at 53 degrees (11.7 c) so the ice would stay in perfect condition. That’s a lot colder than what photographers are used to inside most National Hockey League arenas. It’s key to know those logistics in advance so you can make the necessary preparations to keep your body warm, as well as to keep your equipment in tip-top shape by protecting it where applicable. Photographing indoor sports is all about focusing on the athletes’ eyes, so being at floor level is usually ideal. If it’s hockey, you’ll want to be at ice level in what’s called the “deep corner position,” which is just south of where the goalie’s line intersects the boards. From that angle, you’ll have the ability to shoot the entire ice. For basketball, being on the floor halfway between the side of the court and the basket works best. That offers you the opportunity to not only see the entire playing surface but also to capture players jumping up toward the hoop or coming in for the goal. As mentioned earlier, most modern indoor arenas today have switched to LED lighting. So using regular auto white balance (AWB) is usually sufficient to get you close to the proper color. If you’re using the Kelvin temperature setting, it can range from 4100-5400K, depending on how they’ve set up the LED lights. In some hockey arenas, if AWB isn’t cutting it, use a custom white balance and take a reading off of a neutral surface in the arena. In other arenas, it is actually best to do a custom white balance by shooting towards the arena lights themselves. With hockey, for instance, the ice works well because you’ve got such a large white surface to use as your neutral tone. In smaller venues, like high school or college gyms, the problem isn’t just that these places are poorly lit. They’re also illuminated with an assortment of different kinds of lights, whether they’re different-colored fluorescents, sodium vapor lamps, or older-style carbon arc lights. If that’s the case, you may find that as a player is dribbling down the court, the sequence of frames you get of that player will each be a bit different in color. On Canon cameras, you can use the anti-flicker option to cut down on the pulsing from certain lights. That helps balance the color of the light, but in situations where it varies greatly, you can shoot in auto white balance and then tweak the image when you bring it into Photoshop. One other thing to be aware of is shooting through glass. You’ll not only have to worry about reflections, but also the color cast that’s given off by some of the glass sheets used in arenas. Keep an eye out for that so you can adjust accordingly. Exposure is going to depend on each venue’s lighting conditions, but one of the keys to this type of photography is that you need to freeze the action. Shooting at 1/1000th of a second or 1/1250th of a second will freeze most of the action you’ll find at indoor sporting venues. 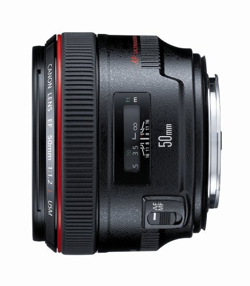 In terms of ISO, it wouldn’t be unusual to be shooting at 4000 or 5000. Inside a pro arena, that could give you an f-stop of f/5.6 or f/6.3; in the worst-lit arenas, you could be down to f/2.8 or f/3.5. You’ll want to use autofocus 99% of the time for indoor sports, although you can certainly override that in situations where the need arises. You may want to shoot in continuous autofocus mode, called AI Servo or Continuous/AF-C, depending on what camera you’re using. This allows you to photograph moving subjects while the camera keeps adjusting focus with the shutter button pressed halfway. Or you may want to keep the shutter button separate from focusing and assign another button on the back of the camera to focus, a technique called back-button focusing. It all comes down to personal preference, which you’ll discover the more you shoot. Either way, what’s critical for shooting indoor sports is that you select one point of focus. It’s infinitely faster than using the variable dots that manufacturers have built into the cameras, in which the camera decides which one of 61 different places to focus. Get a handle on the sport — and on individual players — so you’ll know when to press the shutter button. Experience helps, but so does knowledge of the sport you’re photographing. That includes getting to know not only the ins and outs of the game but also individual players and their particular propensities, such as what side they tend to move toward or when they tend to shoot. Practice this by selecting an individual player as he or she flies up the ice or runs up the court and concentrating on that, instead of simply following the puck or ball around. Eventually, you develop almost a sixth sense. If you want your photography to stand out, don’t settle for one shooting position. That can be achieved using more advanced techniques, such as using remote cameras. Or you can simply get up and move around the venue so that you’re able to place different backgrounds in your images. You want to fill the frame, and it’s not always advisable to do so using Photoshop. It’s better to fill the frame in your camera. They call it that for a reason – it’s horizontal. Double-check your background, such as the boards of an ice hockey rink, to make sure everything is straight, not crooked. Don’t cut a player off at the joints, like at an athlete’s ankles or knees. It’s best to stick with waist-up or full length. The best sports images show both jubilation and dejection in the same frame. Always be on the lookout for the sort of image where you can witness both teams participating and showing the full range of emotions in a game. That’s not to say the action shots aren’t important; it’s just that it adds so much more to show the players engaged in what they’re doing. These kinds of photos are called “rounding out the take”. You don’t want to come away from an indoor sporting event with just 20 action images — a well-rounded photo narrative will include an action shot, a celebration, a dejection, some individual shots of stars that are playing, or rookie players, and then some ancillary images. Those could include, for example, photos of the officials, fans celebrating, or images of both of the goalies if you’re shooting hockey (just in case one of the goalies ends up being the big story of the game). If you’re thinking of selling your images, you should also think more generically when it comes to indoor sports photos. In other words, you’ll want to photograph details that tell the story of the sport without pinpointing an individual player or team. That could entail, for instance, a close-up of a puck or a ball, a hand on a ball, or a stick on a puck. Close-ups of skates churning ice and creating ice spray can also tell an interesting story. There’s nothing worse than rushing to an event and not having time to think out what you’re going to shoot. Some of your best images will come from those early arrivals and from sticking around after the final buzzer, whether it’s players heading into an arena and prepping for a game or images of the players leaving an event. If you build in that bit of extra time, you could end up capturing shots that other photographers miss. Bruce Bennett Bruce Bennett has covered more than 5,300 NHL and international hockey games over the past 43 years, as well as other assorted professional sporting events. It's estimated that over 30,000 of Bruce's photographs have appeared in major newspapers and magazines and on websites around the world. By 2004, Bruce Bennett Studios (BBS) had amassed a library of over 2 million hockey images and was acquired by Getty Images. Bruce joined Getty Images as Director of Photography, Hockey Imagery.